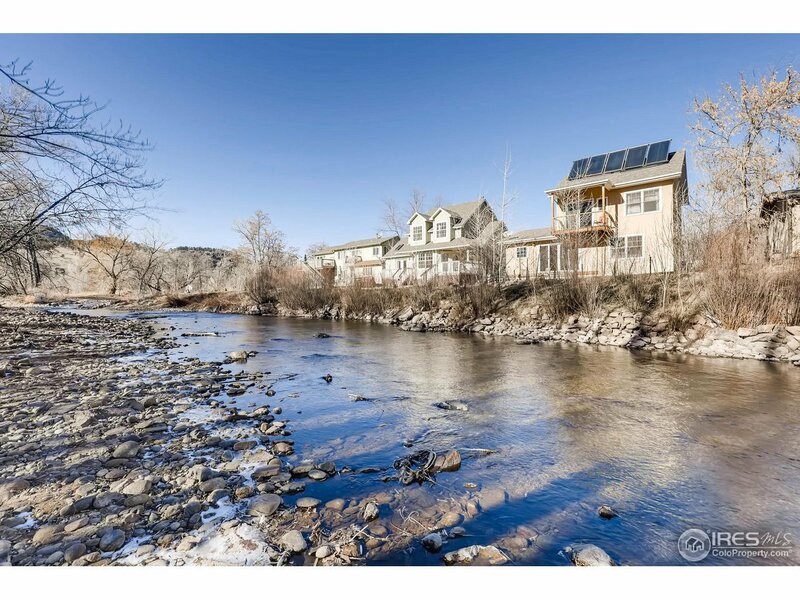 WOW, awesome RIVER property bordering park in Lyons! Tube, kayak, fish from your door or relax on the private balcony & take in the sights & sounds of the St Vrain river & surrounding foothills. This custom 3BD/3BA plus bonus studio/office captures light & views in every room. You&apos;ll love the SOLAR thermal radiant heated floors, solid wood doors & trim, pantry, tons of storage in the loft bedroom & 2-car garage. Home interior did NOT flood in 2013. Near trails, parks, bus, schools, & downtown.